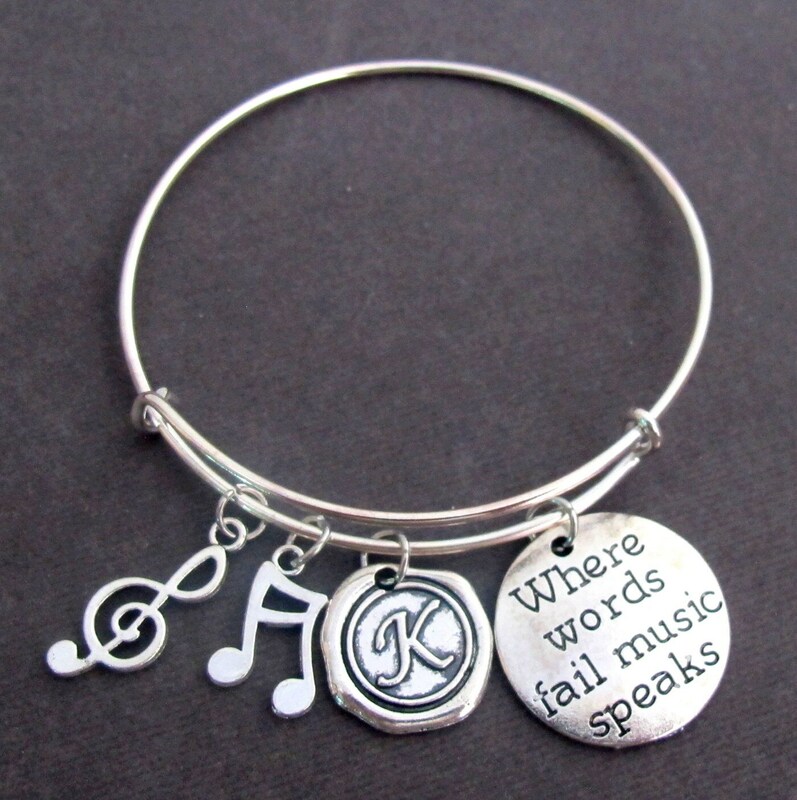 Where Words fail Music Speaks Expandable Bangle Bracelet for Music Lovers. A wonderful gift for musicians or music teachers on any suitable occasion be it birthday, Christmas or just to make them feel special and appreciating them for what they are! To customized more than 1 initial or name or to add addtional musical charm please do mention all your customization in note section at the time of checkout. Beautiful item at an excellent price. Thank You! This is amazing! I purchased for a gift for my child's music teacher, who is very special to her, and I am super impressed! nice quality, fast shipping-well worth the price which was extremely reasonable. Great seller !